Good morning from Canoga Park, California and welcome to the September edition of our monthly newsletter, filled with good portions of thought-provoking features, all designed to keep our members thinking and gaining insights on the actions that will follow. Each month we interview members of the In2:InThinking Network to get their perspectives on a variety of questions. This month we asked Cindi Manning (pictured between Paul Morgan and Rennie Methuen at the 2007 Forum) to provide her insights. Quality professional currently relocating from Southern California to Austin, Texas. My original motivation for my degree in Industrial Engineering (from Cal Poly Pomona) was to improve the relationship of the person in the workplace, as well as helping companies run things better. I've always been working towards increasing the "Blue Pen" level in companies. Follow this link to find Cindi's entire Member Profile on our website. In addition to Cindi, we would also like to introduce our members to Phillip Scarborough. I live in Texarkana, Texas. I spent 24 years in the Army Reserve, the last 14 as a combat arms instructor. I've worked for JCM Industries for 15 years. 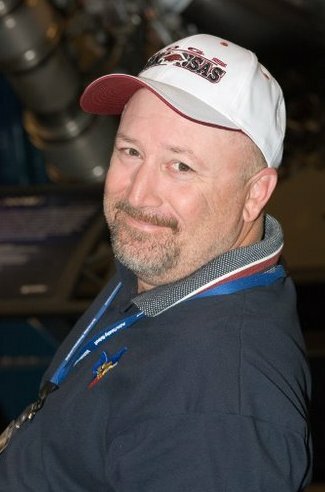 I started as a welder and now work as an NDT (Non-Destructive Testing) Process Leader. On weekends, I like to grill outside, hunt, fish and spend my time out doors. I really like music. Any kind will do, but I lean toward older rock music from the late 60's and 70's. I have attended the last 3 years. I met Bill Bellows in Washington about 10 years ago at a W. Edwards Deming Institute Conference and we stayed in touch. I heard he was working with friends on their own thing in Los Angeles and wanted to check it out. I've came back ever since. Follow this link to find Phillip's entire Member Profile on our website. If you have been searching for the reason you want to come to work each day and bring that precious commodity called Self into the battlefield of ever changing situations then this book has value for you. If a personal or professional connection to a strong meaning has been missing then the explanation and articulation of a Purpose and the relationships created and connected to it may be exactly what has been missing. Follow this link to find a 5-minute interview with Nikos Mourkogiannis from September 2006 on the topic of this book. 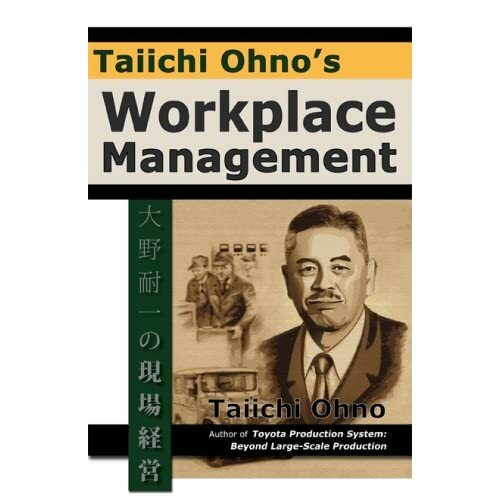 Taiicho Ohno is known as the father of the Toyota Production System (TPS), also called lean manufacturing. I see TPS as a system that is very compatible with Dr. Deming's ideas - that includes additional concepts and techniques not explicitly mentioned by Dr. Deming. This is no surprise given Toyota's early experience with Dr. Deming and their continued application of his ideas. Taichi Ohno dictated the text to the Japan Management Association (in a series of interviews in 1982), which gives the book a sense of listening to him talk about the ideas. I found the conversational tone made it very easy to read and reminiscent of Dr. Deming's tone in many places. Follow this link to find John's entire book review on our website. 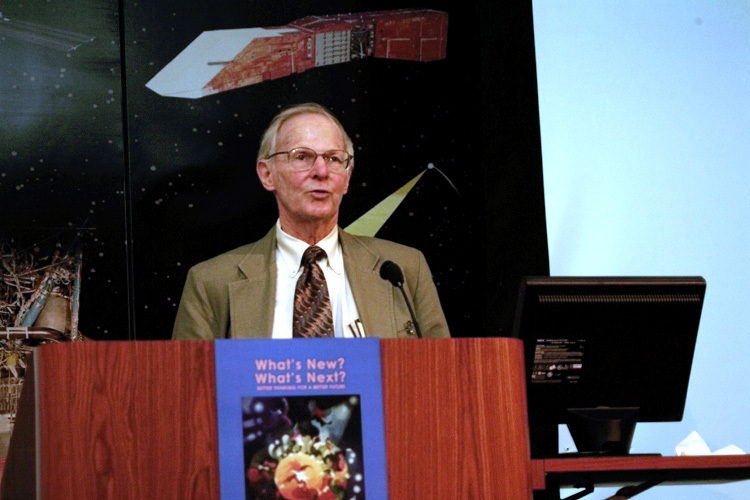 Attendees of our second Forum in 2003 were introduced to the theme of "What's New" What's Next?" through an opening after-dinner keynote presentation by Dr. Paul MacCready, CEO and founder of AeroVironment, Inc. Little did the attendees know the degree to which Paul was a role model for "What's New? What's Next?." We have found that making strategic breakthroughs is a consequence of mingling conventional tasks and new concepts - and hunting for the right opportunity to permit the new to be supported. Examples will be given of some tricks that broaden your thinking: a 6� minute film "Doing More With Much Less" will be shown that demonstrates a philosophy of vehicle movement with very little power; and there will be several examples of present products that illustrate when and how to accommodate breakthrough technologies. The examples will include Helios (the highest flying airplane at 96,863 feet), tiny drone airplanes with remarkable duration and control, and economical cars of the future with zero pollution. Lastly, a brief Memorial Program, followed by a reception, is scheduled for this coming Saturday (September 22) at 2 p.m. in the Beckman Auditorium at Cal-Tech. Follow this link for a map and a message from his family that "In lieu of flowers, the family has requested memorials to "any organization that sustains our world."" The 2007 Fall Conference of The W. Edwards Deming Institute will be held at Purdue University in West Lafayette, Indiana on October 13 - 14. The conference will be preceded by a reception the evening of October 12. It will end around noon on Sunday, October 14. Institute conferences are designed to foster a better understanding of the Deming System of Profound Knowledge� and its applications. 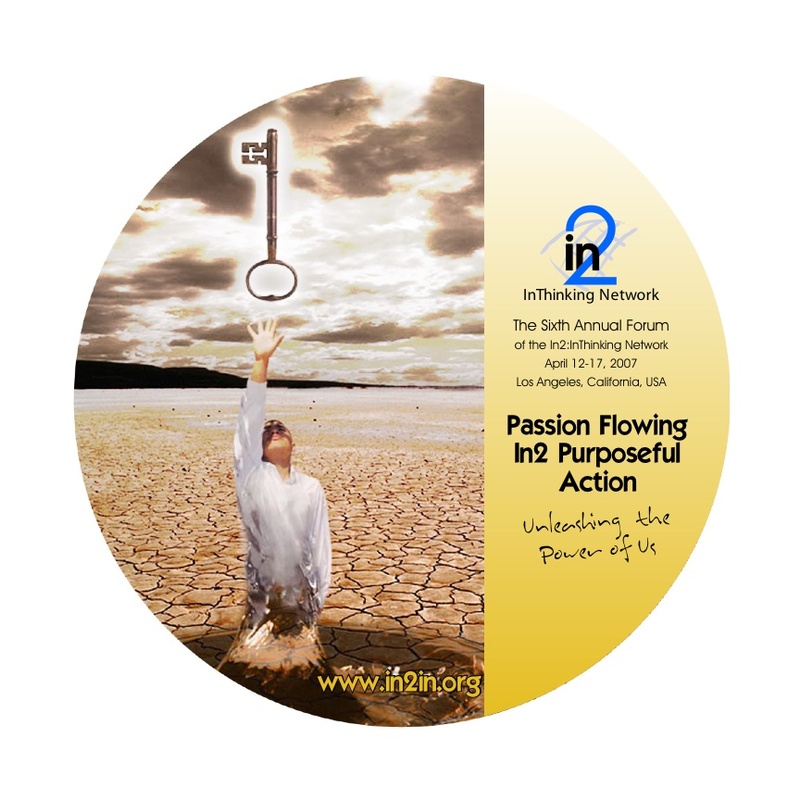 In keeping with this aim, the 2007 conference planning team has put together a program "To Explore Together a Wholistic Bridge to the Future" through a focus on both theory and applications. Download the conference postcard here. The program includes three keynote presentations, including Barbara Lawton (who Dr. Deming credited in large part with writing chapters 3 and 4 of The New Economics), Norm Bafunno, Senior Vice President - Manufacturing & Administration Toyota Motor Manufacturing. Norm will offer perspectives on Dr. Deming's influence on Toyota and Toyota's influence on Dr. Deming. In addition, in game show style, Joyce Orsini, will present the "Deming Wheel of Fortune." Follow this link to learn more about this program, including parallel-track presentations by network members Bill Bellows, Ralph Mullen, John Pourdehnad, and Gipsie Ranney and a closing panel discusion with recent Purdue University graduates relating their experiences in industry and the problems they face. David Train has done it again. Last month we included pictures of David with Tony Blair. 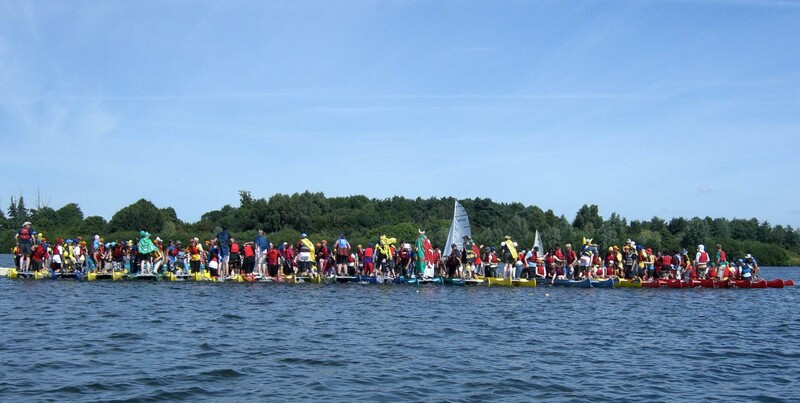 This month, we have a picture from the recent Scout World Jamboree in England with 22 bell boats lashed together. The scouts are claiming this is a record. Stepping back, David is seeking to establish a connection with the US capital through the friendship agreement. What David has in mind is a Bell Boat event to highlight global warming. This would be the "Main University Boat Race for the Blue Planet" and held on the Potomac with all of the 15 universities in Washington, DC taking part. David is seeking help with organizing. Contact him by email to find out more about the help he needs. Follow these links (one and two) to learn more about David's efforts to make a difference, including his recent meeting for former Prime Minister Tony Blair and his invitation to loan Bell Boats for Boy Scouts to use during their World Jamboree at Hylands Park, Chelmsford, Essex. Yo, to the In2:InThinking Newsletter readers from my home in Philadelphia. Each piece will be from 1- 2 paragraphs. Rovin will be responsible for 10 pieces, September -June, but may not write all of them. Others will be invited to contribute. Rovin/Bellows will edit all of them. Reader responses will be requested. Perhaps at the end of each piece will be "What do you think?" and the next newsletter will include at least some of the responses. The responses must, perforce, be brief. Subjects will be determined, but varied. Readers will be invited to suggest topics. There might be a continuing series around a central theme with several contributors, as one example. Point - counter point is another example. Controversial topics will be the grist for this mill. We can call this part of the newsletter The Thinkers Corner or Thinkers Thoughts or something else. Having said all this here goes. I'll start with an easy one: What passes for education in this country. What is labeled education in the US is nothing more than transmitting predigested information and conclusions to unsuspecting young people who were told, by parents, to pay attention to their teachers. The youngsters are constrained to follow an adult generated curriculum and ways of transmitting it. With some exceptions, predominantly, school children do not act independently both in pursuing what they want to know and in drawing their own conclusions. In short, they do not learn how to learn, a necessary ability to deal with previously unencountered situations and an ever-changing world. The question is what to do about it. We know that those who teach learn the most. So having older students teach younger ones makes sense. Ending the tyranny of testing so students might learn because they want to rather than because they have to also makes sense, at least to me. Giving kids choices is another way to facilitate learning. But the likelihood of any of this occurring in the typical school setting is nil. But parents could enable these ways of learning. How about parents as learning agents? For example, when a child goes home after school, the parent might ask her to teach the parent something she learned that she liked, rather than saying how did your day go, etc. Parents might ask their kids what they might like to learn other than what they got from school and then lead them to good sources. And parents might tell the kids about their own work problems and invite them to help solve them. Taking kids shopping and asking them to figure out costs to learn basic arithmetic is a way that's fun and practical is another suggestion. If our kids are not really being educated in formal school settings lets do it in the best kind of environment-their homes and the real world. Edward de Bono uses the expression OPV as a reminder of considering "other person's views." In this regard, check out a recent New Yorker cartoon on the topic of perspectives. Guess what, there's more than one. The Ongoing Discussion (OD) for September will feature Tracy Huston, shown below. On Thursday and Friday, September 27th and 28th, Tracy will engage us in a dialogue on the topic of "Whole System Social Innovation." This month's OD announcement will be released on or before Monday, September 24th. You are welcome to register now, or wait for the full OD announcement to be released. "The central task of education is to implant a will and a facility for learning; it should produce not learned but learning people. In times of change, learners inherit the earth, while the learned find themselves equipped to deal with a world that no longer exists." "From Mechanistic to Social Systems Thinking," which was published in 1993. "It ain't so much the things we don't know that get us into trouble, it's the things we do know that just ain't so." We have recently heard both Russell Ackoff and David Kerridge open our thinking in context of the above - It was also a theme explored by Peter Drucker. It is a disturbing thought that we may be working very diligently and effectively but if we are not doing the right things we may actually be making the situation worse. What in our working lives do we do well - but in fact contributes little - and perpetuates a system that has a negative effect? Our network efforts are enabled day-by-day, month-by-month, and year-by-year by civic-minded volunteers whose contributions include a passion for making a difference, coupled with ideas, time, and energy. Together, we are working, learning, and thinking about how we can foster and inspire "better thinking for a better future" and what this effort enables individuals and organizations of all shapes and sizes to do differently when they think and act as a team.